One former BuzzFeed employee noted that the changes Facebook made to its news feed in 2018 had a substantial impact on the reach of BuzzFeed’s content, from BuzzFeed News to its branded content; stories that once reliably gathered 200,000 visits through Facebook were suddenly lucky to get 20,000, this source said. That loss of distribution made covering many topics unsustainable, particularly in foreign markets. Just think about that, for a moment. 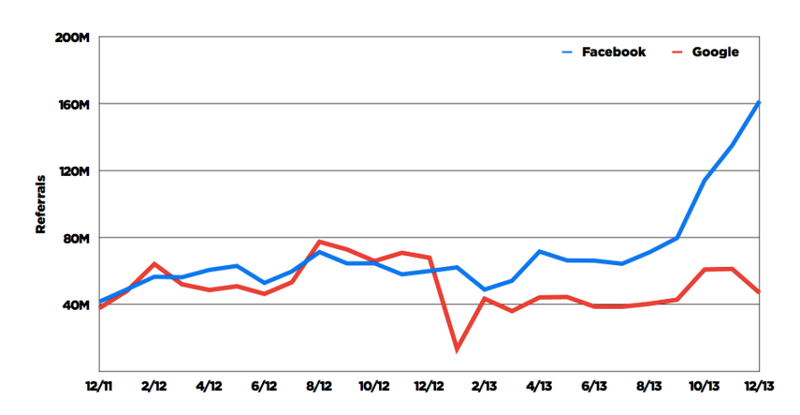 A single change by Facebook was depriving Buzzfeed of 90% of its from Facebook traffic. And, on an ad-driven site, that probably equates to about 90% of its revenue. We also know that Buzzfeed was (and possibly still is) heavily dependent on Facebook traffic. How do we know? Then again, if Facebook has the ability to inflate your traffic, it could also let the air out. It appears Buzzfeed - and many of its ilk – chose not to heed that warning. Turns out - it does matter. And matter a lot. A couple of months after that interview, Kempner left Buzzfeed — for Facebook. I don't want to over-simplify the situation we're in — but I do think that the sudden and catastrophic drop in Facebook referrals is a much bigger factor in many of the redundancies we've seen in the last few weeks than people are acknowledging. And no wonder. A failure to develop a diversified audience engagement model is a pretty profound failure indeed.